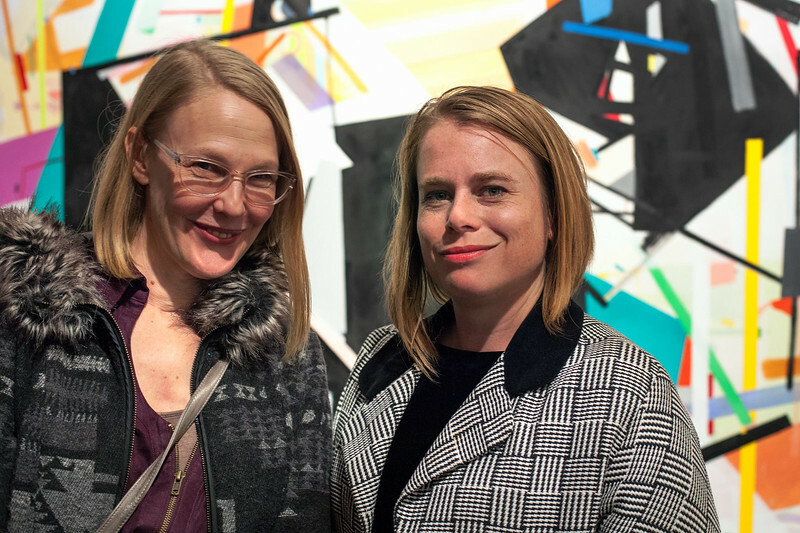 Three weeks after visitors packed the Sullivan Galleries for the opening reception of A Proximity of Consciousness: Art and Social Action, SAIC’s downtown exhibition space was now set for another form of group experience. Stacked metallic lunch boxes were lined up uniformly in anticipation of the ensuing program. This event was part of the College Consortium for Art in Society convened on the occasion of SAIC’s A Lived Practice season. 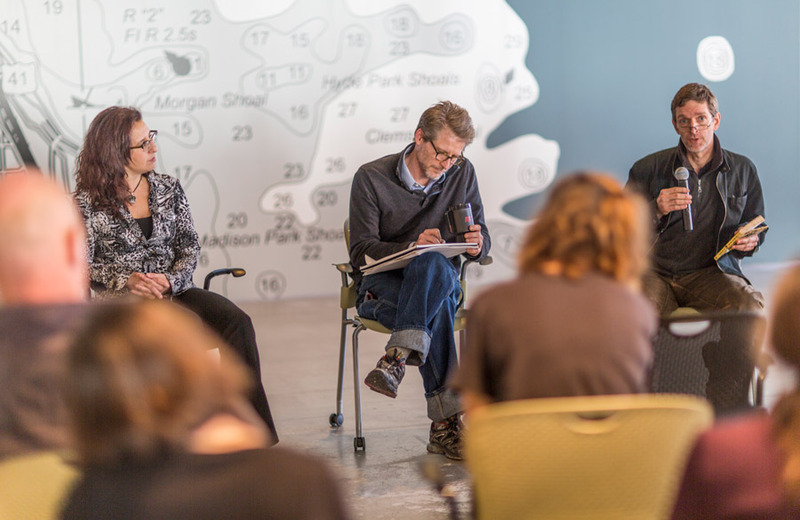 The Consortium—a group of 35 students and faculty members from SAIC and six other universities across Chicago—was invited to join artists Rirkrit Tiravanija (MFA 1986) and Dan Peterman, as well as recycler/philosopher Ken Dunn for a shared meal and afternoon of active dialogue. Though each have different histories and expertise, they share a common vision: inspiring members of the community to tap into, preserve, and appreciate the resources—both human and consumable—that a city has to offer. This call for heightened social consciousness found its platform, in a gallery with a line of hungry college students. 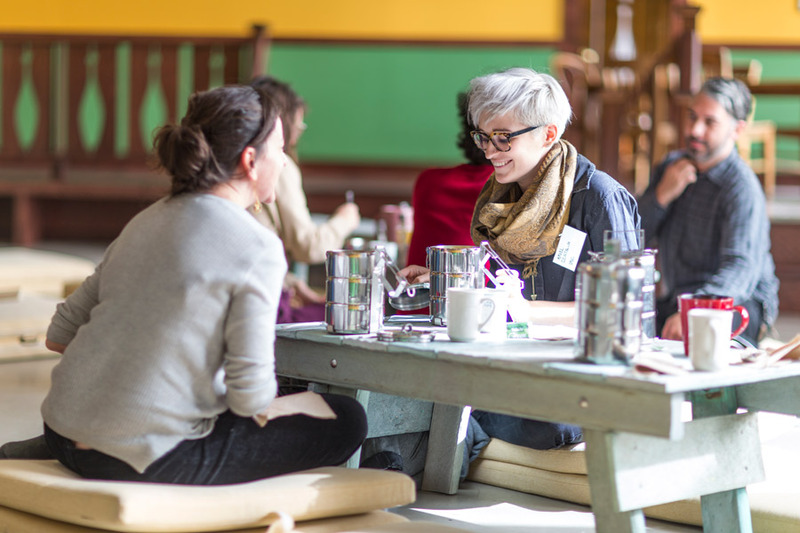 Once participants grabbed a lunch box and mug of tea, they sat cross-legged in a room with low-set tables and cushioned floor seating. The boxes contained brisket, potatoes, salad, French bread, and a cookie. The meal was created from ingredients “rerouted” by Dunn, unused food salvaged from a local university cafeteria before it could be thrown to waste. 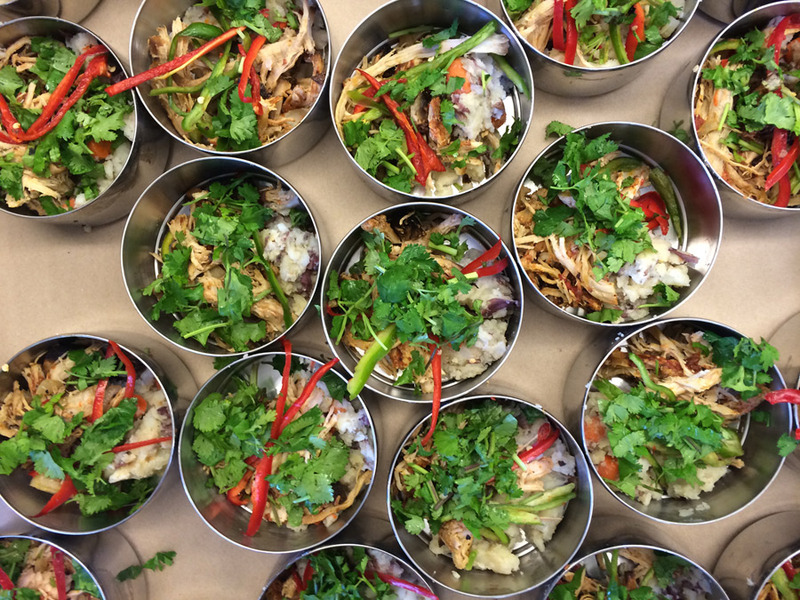 This meal presentation epitomizes the Resource Center’s day-to-day mission. 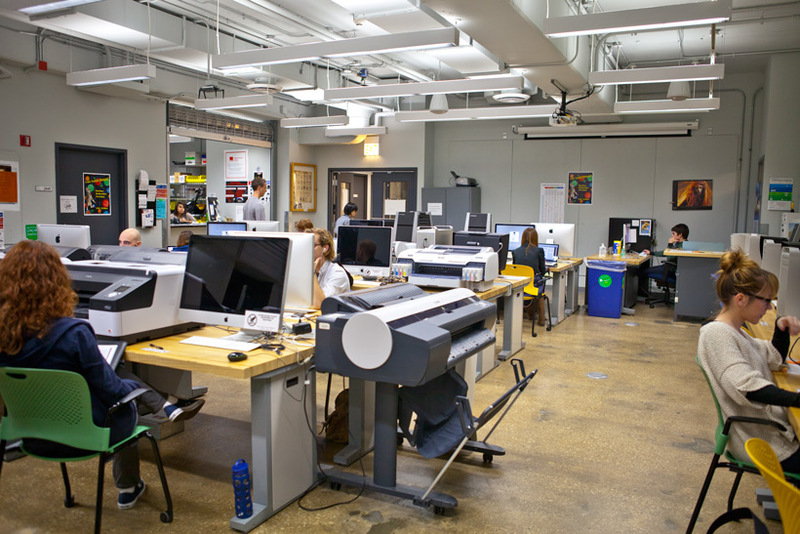 The Resource Center, founded and directed by Dunn, is a nonprofit on the South Side of Chicago that serves as a recycling center with a focus on sustainability, education, and revitalizing Chicago communities. The Resource Center collects surplus food from local cafeterias, catering companies, and farms to redistribute to places of need such as soup kitchens and shelters. Supplementing this food source are the thousands of urban farms, planted in vacant lots across Chicago neighborhoods—also an initiative of the nonprofit for sustainable development and renewal. Over lunch, Dunn gave biographical context to the project. He was born into an Amish Mennonite community that practices self-sustainable agriculture. After spending a few years during his twenties seeking refuge from industrial society in the Amazon, he moved back to pursue a PhD in philosophy at the University of Chicago. The idea for the Resource Center was born from his experimental thesis research, searching for a local solution for a global problem. He says, “Looking around [Chicago’s Woodlawn neighborhood], I saw many resources but none of them being used. I noticed the deficits: there were plenty of unemployed people (that is a resource), a lot of vacant land, and vacant lots covered with trash.” He looked for a method of improving the life of impoverished communities. And so, the project and his thesis began with a truck, an abandoned, littered lot, and a small band of unemployed men who happened to be drinking outside a liquor store when Dunn pulled up with a plan. Instigation is only the first step in striving toward community sustainability. Subsequent efforts are needed to ensure that those changes are perpetuated and that the movement spreads. 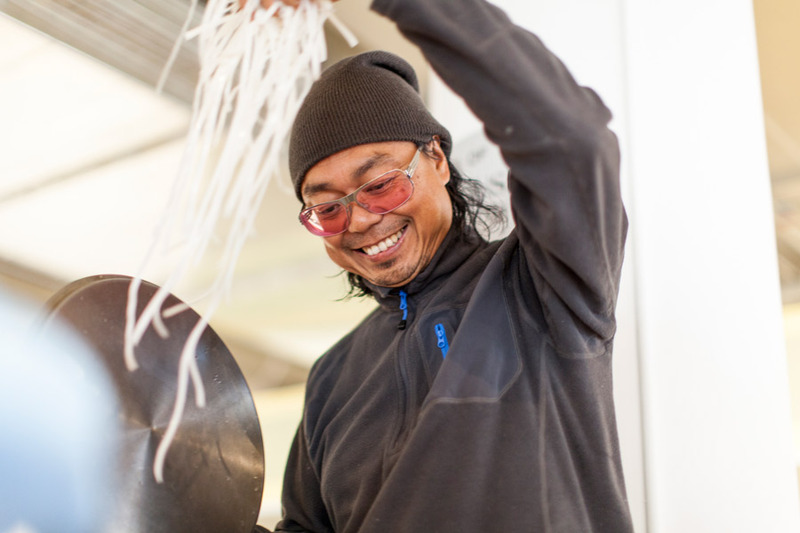 Rirkrit Tiravanija met Dunn while in Chicago as a student at SAIC, and has long admired Dunn’s pioneering work and deeply rooted ethics on living sustainably. For his project in theProximity of Consciousness exhibition, Tiravanija sought to reconnect with Dunn, as well as his long-time friend Dan Peterman, and create a collaborative work that brought Dunn’s initiatives to an increased awareness in the arts community. Tiravanija’s work is marked by social interaction and the shared human experience. What started as an interest in the East Asian ceramic artifacts he studied at the Art Institute museum as an SAIC student, has now become a practice of putting those usable art forms to work, bringing people together over meals in an environment suited for progressive dialogue. Saturday’s group meal was one of several manifestations of Tiravanija’s collaborative project, each evolving in a different mode based on Dunn’s resources and their combined ingenuity. Several of the meal/discussions included Tiravanija creating new recipes with Dunn’s rerouted ingredients, assisted in preparation by Peterman—finding a use for this unused food resource. Made from compounded and recycled plastic, Peterman’s tables served as places for the participants to gather and share in the meal. The artist and educator has employed this repurposed material in projects across the city, including the open-air dance floor in Grant Park. 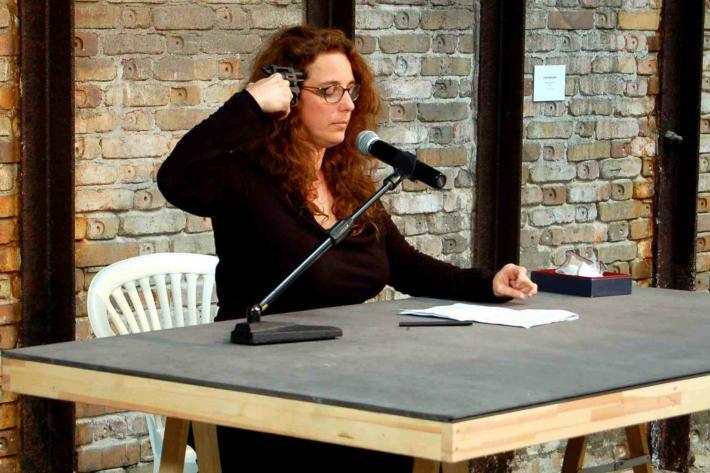 Peterman’s work in theProximity of Consciousness exhibition also became a point of engagement during this event. His project Lake Bottom Land Use focuses on the preservation of Morgan Shoal, an underwater lakefront feature off of 49th Street. The shoal is a geological formation flattened by receding glaciers, a natural habitat for plant life that lives off the microclimates of the rock. The Morgan Shoal is also the home of the Silver Spray, a sunken commuter ship that wrecked 200 feet from the shore more than 100 years ago. Now covered in moss and growth, it too boasts a unique ecology. For decades urban development plans have been proposed to revamp the area on the lakefront shoal, but none has been carried out. A current proposal that includes construction of park space, bridges, swimming areas, and man-made beach threatens the natural landscape. At the Sullivan Galleries event, Peterman discussed these issues of land use with Dr. Diane Tecic, Program Director of Coastal Management Services for the Illinois Department of Natural Resources, and Greg Lane, a member of the Underwater Archaeological Society of Chicago and advocate for higher recognition of Morgan Shoal. Peterman has worked with Lane before, providing the photographs for a story in the Chicago Reader about the history of the Morgan Shoal shipwreck. Lane, a Hyde Park resident of 25 years, provided an interesting perspective to the issue. He is a lakefront activist, “involved in the evolution of the lakefront and design processes,” but also works as an ecologist, journalist, and grant writer. His sincerity and discipline are evident in his daily swim to the wreck, sans wet suit, even in the harsh winter months. Lane routinely takes visitors to the shoal for a historical tour, making a point to highlight the pebbled beach that churns a new array of stones onto the shore with every tide—a natural feature urban developers will damage if successful with their plan for renovation. Peterman says, “For a city of lake-dwellers, most Chicagoans know little about the lake’s history and ecology.” His Morgan Shoal project engenders a deeper understanding of Lake Michigan’s complex ecosystems, home to underwater worlds that deserve study and careful consideration before being altered. Peterman points to land that already serves a purpose, while Dunn and Tiravanija address land and resources that can be put to better use. All of them present practical ways to make a viable impact through social action, here in Chicago and across the world.